You must make reservations at least 5 minutes in advance of the time at Boxwood at The London. The London Bar & Sitting Room is open daily from 11am to 12pm. High Tea is Saturdays and Sundays from 1pm-4pm in the Sitting Room. Jazz Brunch every Sunday from 11am-5pm. For the most up to date menus please call us at 310.358.7788 and we will gladly email you them. The entrance is on San Vicente Blvd. just below Sunset Blvd. We are located inside The London West Hollywood Hotel on the lobby level. After 5pm Valet, with Restaurant Validation is $10. Live Jazz music on Sundays during brunch. For large parties and our private events please call Deborah Davis-Bonk at 310.358.7788. Come check out our amazing new renovation and our incredible London Bar!! We offer signature cocktails and Bar Bites. We also have a fine selections of Liquor and a Reserve Wine list. The Boxwood restaurant also has a lot to offer including an ALL day menu with incredible selections from our Chef Anthony Keene. Chef Anthony Keene's Los Angeles restaurant offers fine-dining inspired by California’s fresh produces. The menus change regularly based on seasonal offerings. Enjoy a variety of market specials, several a la carte dishes. 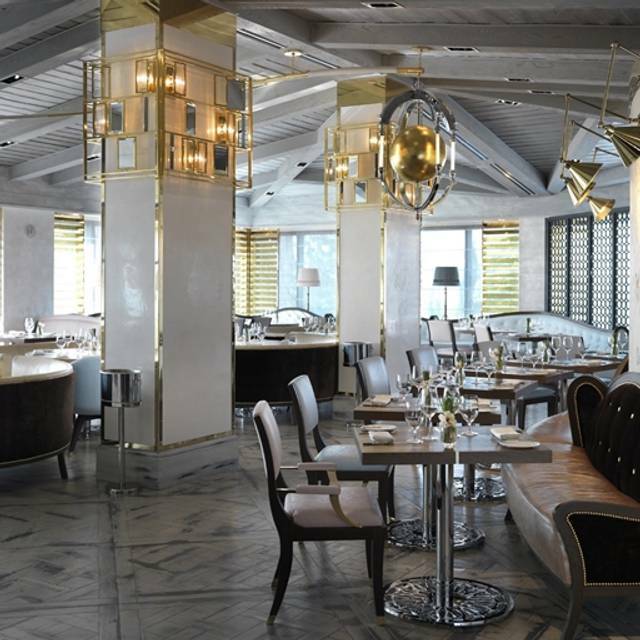 The ambiance is glamorous and energetic, with posh dining rooms that overlook dramatic views of the city skyline. Open daily for Breakfast, Lunch, and Dinner. We also offer High Tea on Saturdays and Sundays from 1pm-4pm. Great food with great service in the secluded The London West Hollywood hotel. We came to the Boxwood excited for our first Chef Ramsey restaurant experience. We know Chef Ramsey doesn’t actively run this restaurant and unfortunately so would anyone who walks through the bar area. The seats were stained, our plates were dirty, the place was absolutely dead and the beef Wellington, was, well, a bit doughy on the inside. We’ll be a bit more careful in the future picking a restaurant purely because of his name. We had the Valentine's Day Prix Fixe with cocktails and wine. We received outstanding service and excellent food and drink. The dining space is beautiful, and even the value was excellent. Always special. Attention to detail and a great atmosphere. My wife and I have spent many special times there. Food is excellent. Thank you Chef Anthony! The service could have been a little more attentive. I had to keep hailing someone to order our meal or more dressing or to get the check. Do we have to ask for water as well when we give our drinks order? Bread doesn't automatically come to the table? Next time does bread have to be specifically ordered as well? I like the view and it was quiet. It was an excellent venue for a lunch meeting. We had a little snafu with our initial reservation, but Deborah at Boxwood sorted the problem out immediately and with zero fuss. We enjoyed a beautiful, delicious afternoon tea with really terrific, friendly and efficient service. AND all in a beautiful and quiet room! Totally underwhelming. Food was mediocre at best and there was no one else in the restaurant so no excuse for bad service. Service was perfect--exemplary without being overly solicitous. Food presentation and quality were faultless. And ambience was pleasant and quiet enough, ideally conducive to conversation over lunch. Service was poor. Bartender acted put off to help us. Won’t be back. It was hotel breakfast, and it was disappointing. The meal was OK, but I had to go to the buffet to get my toast and had to toast it myself. Rather odd considering I was ordering off the menu. By the time I had the toast, my eggs were cold. The server was odd. He was very distant and didn't seem to enjoy answering questions. A sad state of affairs at the London and Boxwood. Brunch anyone? Don’t mind the stains on the fabric chairs. Don’t mind the sassy waiter and his attitude. Don’t mind that they are clearing out the brunch just as we order. Don’t mind that you have to argue with a bus boy and then have a manager referee just to get a bagel. Don’t mind they comp nothing - oh wait the waiter said we could have the cappuccino because he was nice. No apology. This has happened a few times but it had been long enough for me to forget. Not again. But then We finally get upstairs for the Sunday jazz brunch which starts at 11. Well make that 1130 well make that 12 yes we did get one set at 12 before the band disassembled. This was their big plan? I should have known the experience would be bad based on the incredibly rude reservation host who practically yelled at me when confirming my reservation. But the worst was not just getting seated at the worst table in the restaurant behind a wall- the service was spotty and the food was insanely overpriced. Their tea selection is a joke- they should not be marketing themselves as a place for high tea. Overall a very poor experience. The food was great, and once they realized I actually had a confirmed reservation and let me have a table I really did enjoy the experience. This was a very average meal at best. All parties were expecting much more from a "Gordon Ramsay" dining experience. We’ve gone to Boxwood many times in the past so we decided to try the dinner menu after it was re-launched recently. We had an off start as there was no one at reception but we heard voices chatting somewhere in the back. I was actually telephoning the reception desk from where I was standing but my mother who has mobility problems decided to slow walk into the dining area to tell them we had been waiting. The crab toast appetizer was very good and the crab meat was generous. The waiter described the garnish on the crab toast as kimchi but it was seaweed. I know what kimchi is and this was not. The scallops in coconut sauce was also good, we expected big scallops but dish had little ones, which is fine. For the entrees, the fish and chips were good. Of particular note is the very tasty and fresh tartar sauce. The spaghetti with filet mignon meatballs lacked brightness of flavor and the meatballs were extremely bland. The biggest puzzle was the lobster risotto. The way the menu was written, we expected lobster meat in the risotto. There was none. The truffle was missing in action too. We asked the waiter and he said the lobster was incorporated in the risotto and there were truffle shavings. There was neither. I know risottos and I remember Boxwood as having excellent risottos in the past, so this was a disappointment. Our waiter did not seem that knowledgeable about the menu. He did say he will relay our concerns to the chef, but that does nothing about our meal and for us as diners. It was like a big “ho-hum, sorry” and that was it. I remember far better food, service and customer appreciation in the past. We also noticed that my mother’s plate had some kind of a chipped side – the waiter said it’s the “design of the plate” (um, no) but also conceded the plate seemed worn out. 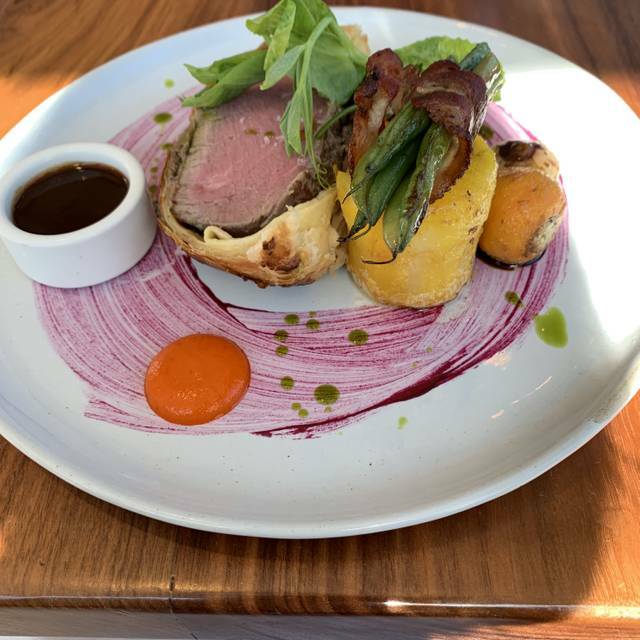 And finally, the iconic beef wellington was no longer in the menu, it was one of the best I’ve ever had. That’s too bad. The Boxwood dining room glory days are behind us, it seems. Great service from Le’Roy and fantastic food. We’ll recommend it! The brunch was absolutely wonderful with a great team to make sure we had everything we desired. The food was fresh, delicious and made to the exact needs of each at the table. It was a great way to start off 2018! Thanks Michel for the wonderful service. What a dissapointment...! We selected that restaurant for Christmas day as it was recommended. We even checked with the concierge who convinced us it would be "special". Wow! They no nothing about "special"... Food was ok but service was poor. We ordered a wine from the private selection and after a long wait they advised they no longer have it. Then ordered a bottle from the regular list as their cellar is apparently far and unaccessible to most employees and we did not want to risk another 15 minutes wait for the wine... but ended up cancelling the bottle and ordering wine by the glass (!) as our food had already been served (and cold I have to say) and we were still waiting for the wine!!! As we had our wine towards the end of our main course, we even needed to ask them to wait for desert so we could finish our glass and not be rushed. For a Christmas dinner? Unacceptable. There was absolutely no ambiance, no Christmas decoration, no Christmas tree, nothing like Christmas. Please do not advertise a "Christmas dinner" in the future. What a dissapointment. Christmas dinner was exceptional -- good food, good wine and great service. Definitely planning a return to try their everyday menu. I would definitely go back for the regular menu. I took my mother there for Christmas Eve prix fixe menu. The mushroom chestnut soup was outstanding. My only complaint was my medium rare steak wasn’t pink in the middle so a little over done for me. My mom’s lobster risotto was delicious. Nadim, our server, was gracious and attentive. Need to inform the patrons that boxwoods is under renovation and they set up a temporary boxwoods in a hall room. The ambiance was exactly what we were looking for during our luncheon. We stayed quite a bit longer than initially anticipated because the environment, view, food, drinks and staff were all amazing! We could not have enjoyed ourselves more than we did. Thank you! The Filet was AMAZING and a definite recommend! Even though most dishes sounded appetizing, my husband tried my Filet (medium rare) and commented on how he wish he would have gotten that; the Filet was only about $36 and the size of a fist -- great find! If you are a dessert lover, save room for the chocolate cake (with multiple layers) or the crepes (multiple layers of crepes that make up a slice of cake). All that to say, we had a great experience there. We were hoping to have gotten the Beef Wellington, but did not realize that was the Spring menu and they had changed a couple weeks prior. Oh well, one day. Wonderful from beginning to end. Amazing views, fast courteous service, delicious fresh cuisine. Outstanding. We were excited to try this restaurant upon a suggestion from a friend. We were very disappointed in the service as well as the food. My, transplanted English, husband ordered a "Shepard's Pie" and a side of mushy peas. The Pie was the smallest Shepard's pie he had every seen. It was served in, what looked like a teacup saucer that was only about 1/4" deep. They didn't serve the mushy peas with the meal, when was finally able to get the servers attention, she had to fight with the chef and bring him the menu, to prove they were ON the menu. He begrudgingly served up about a tablespoon full and served them cold. My Black Bass meal was very good. Ambiance was nice and the restaurant was pleasant enough. The "English" food and the service were severely lacking. Really enjoyed the food and had excellent service also a completely stunning dining room. Made my birthday even more special by bringing out a cake. No one asked them to do this, instead, they took it upon themselves to treat me! Great location and great food!